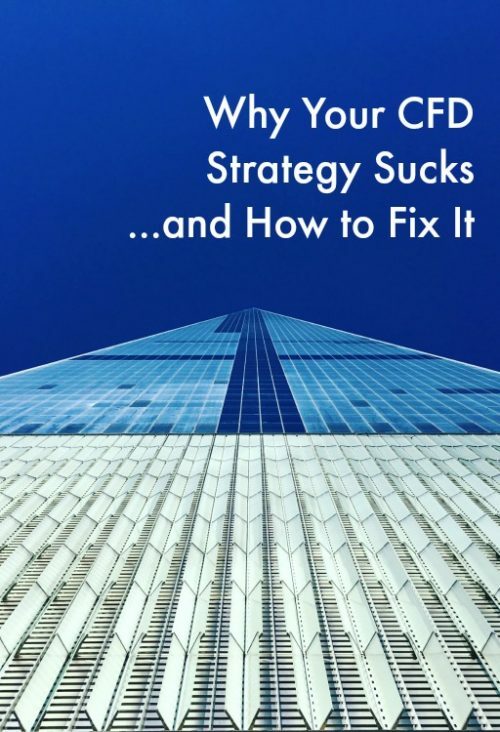 Are you frustrated with how your CFD portfolio has been performing? Do you feel that you can never enjoy a winning edge or have your losses consistently exceeded your profits? You could simply be confused in regards to how to build a successful overall strategy. You are not alone in these sentiments. There are many ways to build a rock-solid CFD trading strategy over time. Employing the mantra of working smart as opposed to hard, let us take a brief look at a handful of areas that you may need to address. As with any trading position, it pays to be a winner! There is a certain amount of hype associated with CFD trading. This primarily arises as a result of options such as low margins and wide leverages. Still, have your goals clearly defined before entering into any CFD trade. Whether you hope to make $1,000 a month or your goal is to enjoy a quarterly profit of $10,000, clear benchmarks equate to success. These should not be changed; even if your overall stance appears to be “in the money”. The size of the trade. The result of the trade. This information can help you to appreciate which approaches have served you the best and which ones could be discarded for the time being. This lesser-known concept revolves around the notion that the majority of traders have neutral accounts (neither in nor out of the money) for most of the year. However, there are normally between two and four months when amazing profits will roll in. This has to do with underlying market conditions, the activities of other traders and global investor sentiment as a whole. It is therefore critical to scale back trading during leaner times and preserve your capital for instances when more fluidity is observed. You could otherwise find that you have missed the proverbial financial “boat” and that you are forced to accept only meagre profits. Never forget that there is no such concept as a “perfect” CFD trading strategy. Even top-rated professionals realise that their approaches need to be changed from time to time. The first step is recognising when such a shift needs to occur. Following these rules and utilising the proprietary tools found only at CMC Markets will help to ensure that you are in the most advantageous position to enjoy consistent profits and sustainable wealth.